ECO Canada is exploring new ways of measuring environmental employment. In this report, we have captured and analyzed job posting data that allows the early detection of sectors that are hiring and skills that are in demand. 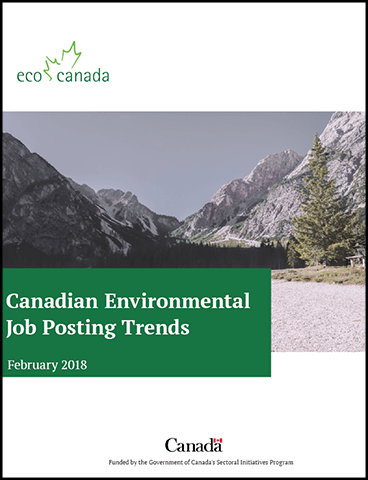 We are releasing a series of quarterly reports that focus on environmental trends that are useful for employers, policymakers, job seekers and researchers. National environmental trends. Between Q1 2013 and Q4 2016 we analyzed a large subset of online job postings. We’re presenting the results. Provincial Trends. Key findings on where the highest demand for environmental workers is. Trends by occupation. Statistics Canada classifies occupations through codes and ECO Canada matches environmental skills according to that classification.